Getaway Cars - British Motor Coach, Inc. Brides and grooms are now staying later at their own wedding receptions, forgoing the classic four-hour long party in favor of an all-night bash. And while we totally understand why you would want to celebrate with your nearest and dearest until the wee hours of the morning, there’s one reason why you may want to head out before your wedding guests: They’ll be able to watch you and your new husband make an unforgettable exit in an amazing getaway car! Whether you select a vintage ride or dress up your everyday vehicle, your getaway car and wedding exit is your last big opportunity to impress your guests. Sparkler send-offs, firework displays, and late-night confetti throws all have their upsides, but there’s something undeniably awesome about the classic getaway car exit. 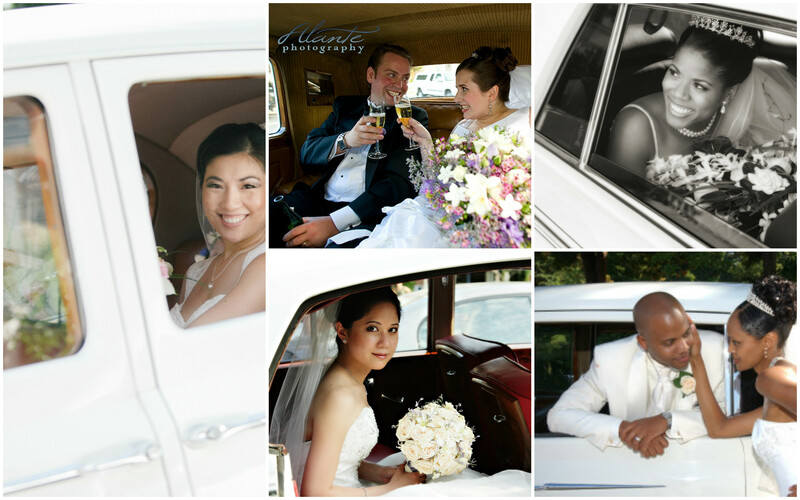 It’s not only a nod to wedding tradition (your parents and grandparents were probably seen off by wedding guests as they slipped into a decorated automobile), but leaving your reception in an adorned getaway car can feel fresh and modern, too.